Sometimes a reading feels intimate, like the times back when you were a kid and sneaked a flashlight and a favorite book under the covers and just kept going past your bedtime. 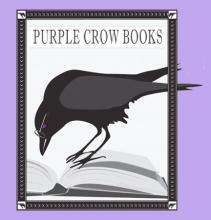 A reading at Purple Crow Books in Hillsborough was like that this week. I thought how appropriate it was to be reading from “Accidental Birds of the Carolinas” at a place named for crows–though it seems crows live everywhere, all year round. Attending were Sharon Wheeler, Owner; Jaki Shelton Green, poet; Randall Kenan, fiction writer and essayist; and an unknown woman who listened very closely. 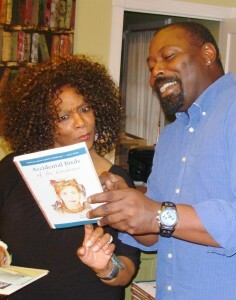 As I read, a terrific thunderstorm brewed outside, driving book club members and a larger audience back into shelter. But with the brewing storm came a delicious feeling of being caught together on a small boat–safe and dry in harbor–while telling stories. At the end of the reading the woman got up and said, “You have no idea how much this has meant to me. I have to leave now.” And she left. But I do have a little bit of an idea what it means to her. To share the deep stories that have occupied my waking and dreaming life for 20 years–that is an intimate connection that can soothe the soul. It does that for me every time I read, but especially to a small group, and especially in a terrible storm. Hillsborough is the small colonial-era county seat that was planted on the site of an Eno Indian village and the Great Trading Path that connected 20 nations of indigenous people in the Carolinas. 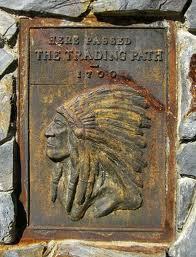 The trading path is marked by a huge stone arrowhead by the side of the road, in front of the courthouse. I come this way through town every November on my way to Thanksgiving in the Shenandoah Valley of Virginia–a day when the American mind flashes, at least briefly, on the early stories of friendship between English and Native people. We get on the road early Thanksgiving morning and catch Hillsborough still sleeping. I see the marker and think of Eno Will, an Indian leader and profound friend to the English explorer John Lawson. Will, having an idea of the powers of the English people to change the future, gave his son to Lawson to raise. On that stormy Friday night, I got to read a story that I wrote almost 20 years ago about this great friendship, within steps of the Eno village site. John Lawson wrote a wonderful book in 1709 describing the native people of the New World in delightful detail and proposing that to leave together in peace, English people should marry into their tribes, learn from them, and raise children together. I won’t give the ending away, but the story is called “New World Testament,” and that gives a hint. The story of this friendship should be told on a stormy night; in historical time, it came on the cusp of a time that was the great storm of wars that wiped so many extraordinary cultures from the face of North America. And yet there is always hope in these terrible stories of conflict and loss – hope of connection on a stormy night, hope of what is human touching us.